These are perfect for replacement and repair. They are super easy to install and each unit comes with illustrated instructions and hardware kit. Great for power washers, pool pumps, spas, power tools, bounce houses, and other outdoor equipment. This will also meet OSHA requiremnts for construction tools. 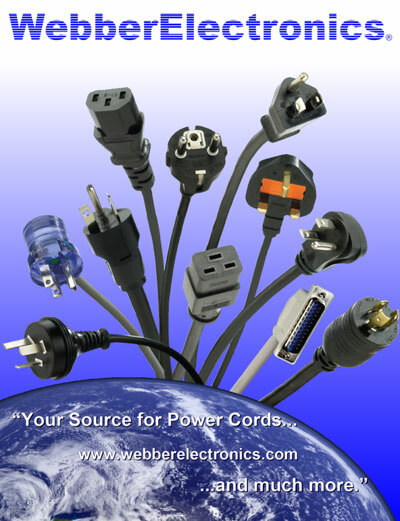 Webber Electronics Pro-Series Extension cords will withstand heavy use and harsh enviroments. They are great for adding extra power outlets at home or on the jobsite. These GFCI Saftey cables combine the best of our Pro-Series porducts. They are heavy duty and provide essemtial shock protection in any environment. We have multiple configurations to fit your need. All of the Webber Pro-Sereis products are customizable. These parts can be sent in OEM packaging at competitive pricing for distribution partners. Contact us today for a bulk quote. A ground fault circuit interrupter (GFCI) or Residual Current Device (RCD) is a device that shuts off an electric circuit when it detects that current is flowing along an unintended path, possibly through water or through a person. It is used to reduce the risk of electric shock. It works by measuring the current leaving the hot side of the power source and comparing it to the current returning to the neutral side. If they are not equal, this means that some of the current is flowing along an unintended path, and the GFCI shuts the power off. When the problem is corrected, the GFCI can manually be reset by pushing the reset button. There is also a test button that can be used to verify that the GFCI works. It is recommended to test GFCI's at least once a month. GFCI's are required in kitchens, bathrooms, unfinished basements, garages, outdoors, and anywhere near a sink. GFCI's are available in two types for permanent installation, the circuit breaker type that installs in the panel, and the receptacle type that installs in a normal electrical box. Although GFCI's are designed primarily to protect from electric shock, they can also prevent some fires. When a permanent GFCI is not available or sufficient, the alternative solution can be found with many of our quality GFCI products at Webber Electronics.